Sally: A few years ago I went on a long weekend to the Lake District in the UK … it’s a very popular holiday destination in the north of England … I went on my own and had a wonderful time … I stayed in a youth hostel and met some really nice people … but the most memorable thing about the holiday were the breathtaking views … and lovely picturesque villages … it can get very busy with hordes of tourists so I decided to go out of season in the autumn … the weather was fantastic and the shops were full of local crafts … a really great holiday … it’s certainly not the kind of short break for someone looking for a busy nightlife but if you want to relax in the middle of stunning landscape I would certainly recommend a holiday to the Lake District. Examiner: What do you think has led to the growth in the tourism industry? Test yourself on topic vocabulary to talk about holidays. 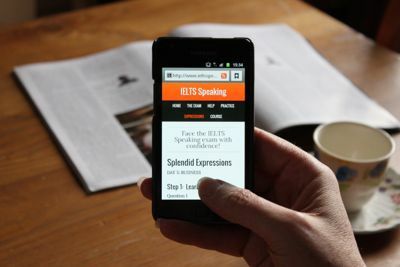 Sign up to IELTS Speaking: Advanced for vocabulary tests and whole lot more! Sorrry me for a silly question. Do three dots mean pauses? Really helpful but why don’t have the pronunciation? –	I go on holidays to take a break from my studies and work and to get away from it all. When I arrive, I`d like to choose a place where I can relax and treat myself. I surely like to discover different places and my favorite is: ancient cities like Rome, there you can feel the greatness of history standing by the intimacy of this city. I`d choose to sign up for a guided tour where you can enjoy sightseeing along with listening to a tourist guide telling the stories of the generations that had passed by. –	Well we used to have loads of tourists in Syria before the war has started. You know Syria has a very rich culture and history. It is as well a relatively cheap country so it used to be one of the most important tourist destination in the middle east. Palmyra was the tourist trap with its outstanding monuments. –	I`ve heard many people complaining about traveling by planes because of the long waiting time either in the check-in desk, the passport check or in the departure lounge, also the flight delays which are very common. However traveling by plane is still my favorite, I just like the feeling that I am flying and going through the clouds. Observing the earth from the above is really breathtaking. actually i am not very fond of tour even though i like to travel around the nook and corner of my city..well my city is a combination of village and rural area so its quiet easy for me to find out all the tourist places with out a tourist guide. actually, i am a culture vulture and i would like to visit somewhere which are tourist destinations ,especially historical monuments and culture. anyway, one of my favorite places, is yazd city that is looked in the central of iran , i went there on my own and spent afew days in youth hostel. a famous place which came highly recommended by one of my close friend that was mountains of Dakhme (Crypt) and also known as historical heritage. honestly i have never ever experienced stuff like and really impressed me. i like to repeat my trace again .in the sites there was a hole that Zoroastrians(one of irans religion ) put their peoples bodies into those holes for vultures. it has been their traditional ceremony for years and i said about vultures if you are a culture vulture i recommend you to sign up for guided tours and it can be a new experience for you that you never be able to make it in the across the world . Good point Vitaliy. Actually, both are correct but since ‘tourism industry’ is more common, we’ll update this. What do you think has led to the growth in the tourist industry? It is extremely useful, it help me so much. Thank you very much! its helps me .thanku so much i learn new vocabulary words from it. I’ve never ever traveled by plane before and of course not tried on the feeling of waiting for ages in departure lounge or check-in desk because my holiday destinations were rather near to my place. The most usual city I’ve spent my holiday in is Da Nang City. It is only about 100 kms far from my place. Even though it’s not the biggest city in my country, it is considered to be a very dynamic and beautiful one. I’d like to go there to get away from it all and enjoy the stunning villages there. The period time of chatting with my close friends and eating seafood from Da Nang Beach together is always my most memorable time. For along time I don’t use & practise the English language. So this website is very helpful for me to improve my English. Thanks a lot. I think it’s a good idea to answer the questions with integrity and honesty. It’s much easier to talk at length when we can talk about our real experiences – but it’s not essential. As far as the questions above are concerned, these are being answered by different students which is why the answers also differ. In part questions you exactly refer to one of the most things that I’ve confused. But in Q2 you said that you tend to use tour guide. Is it acceptable to answer questions without integrity? This website is very useful for me! It support me many vocabularies and ideas for me to improve my speaking skill. Thank you so much! This website is very helpful to prepare for IELTS ,i’m visiting this site daily,so that my knowledge keep ticking up!!!! Thank you so much for your helping. I am really so happy. Holiday for me is a time of enjoyment, a time off from work and normal routine. When I am on a holiday I prefer going to a place close to nature where there are picturesque places to spend time at. Other than that I prefer staying at a resort which is peaceful and offer good facilities, a place where I can spend quality time with friends or family accompanying me. My country India always attract tourists because of is culture & weather conditions. There are vast variety of places for them – places surrounded by historical monuments like Agra and cities of Rajasthan, places close to nature like Jammu and Kashmir, Kerala and places full of life and fun like Goa. Travelling by air is not that much fun for me taking into consideration check-in and boarding formalities. The only reason for me preferring this mode of transportation is less travel time. When i am on holiday, i prefer to enjoy at the fullest. Due to charter flights and all in packages it has been easier and affordable to have the holiday a lifetime. There are a number of beautiful monuments in my country India to visit. To begin with, tajmahal is the one of the 7 wonders of the world. It is very beautiful monument and quite cheaper to enjoy at low price. Other than this numerous tourists like red fort, rock garden, lake in Chandigarh, forts in jaipur, agra,rajsthan, kerala and many more. To me, i don’t contend that flights should be opt for travel compared to by road or own transport. I don’t agree with flights because of delayed and long waiting lounges. Check in desk n passport checkings make our holiday quite boring n unnecessarily longer. After getting tired by such formalities one can not enjoy at expected level. When on holiday I prefer relaxing in the room of the holiday resort for a day or two. then go for local sightseeing and of course I have a passion for shopping. I love to shop around and to collect souvenirs available in the local markets. Yes ,We have do have hordes of tourists in our country and they are found all the year long and not in a particular holiday season. we have many tourist attractions. To name a few, one of the seven wonders is in our country the Taj Mahal in Agra,another popular tourist destination is Goa, which has many picturesque beaches and some beautiful temples and churches. i do not agree with the conventional belief that flying is the most glamorous form of travel.Sometimes travel time is much shorter than the long wait at the airport .As far as I am concerned,the check- in desk and the departure lounge are the most boring places . I also have problems with take off and landing of the flights and it is really tedious with small kids.So the glamour seems really small to me. It’s really helpful. thanks so much! Off the beaten track means ‘in a ​place where few ​people go, ​far from any ​main ​roads and ​towns’. “off the beaten track” was not explained. Could you post the explanation here? It’s a worderful way of learning. I would say it’s very helpful to me. It’s an excellent site. It will be so beneficial for me. I am grateful to you for making such a wonderful site.Thanks a lot. I really like what this website shared. It is actually helpful for me. Thanks a lot. Wonderful!!!!!!!! !1 I love it so much. Thanks lot! Very useful site.. I strongly recommend this website to all. 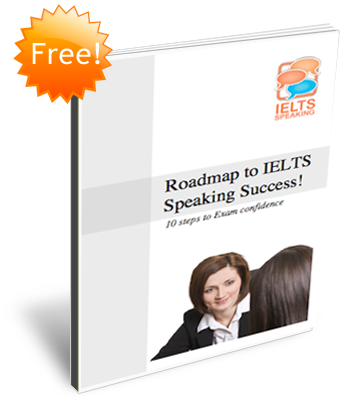 Thanks a lot for this great effort to help ielts test takers.. I like your lesson so much . Do you have the speaking lesson about FCE? and this site really help me to undestand speaking test in IELTS. As a matter of fact it is really beneficial and more than interesting. I think it will help me more than I expect and I wish if I can get a very high band score In-Shaa- Allah. I found it so beneficial. It was of gerat assisstance to practicing for the IELTS . i was actually searching for some specific words or phrases that can be used while speaking on a particular topic. and i got it here… thanks alot again..
thank you. this site has helped me alot in improving my speaking skills…. I’ve got what I need. Really helpful for my IELTS exam as I don’t know how to build my vocabulary. I was actually searching for such this site. I’ve got it. Thanks a lot! Thank you.The material provided here is of great importance. Thanks for your supporting.It helps me to study ielts vocabs.Thank a lot. have lots to say to thank you for this brilliant website, but lost for words. very good and helpful . Thanks.it really adds to my vocabulary some new expressions. what do you like to do with your friend? Thank you very much for helping me !! Thanks a lot for your supporting, it is really helpful and usedul. If I keep on working with it, surely I will approve the fce exam. Thanks,this has been an extensive guide and a big assistance to me. People sometimes say flying is the most glamorous form of travel. Do you agree?